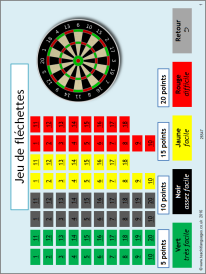 This PowerPoint is designed as a virtual game of darts with differentiated quiz questions to revise key language. You could also use this as a template to overwrite with your own questions. Thankfully, no actual dart throwing is required, simply keep a record of the team scores on your whiteboard.